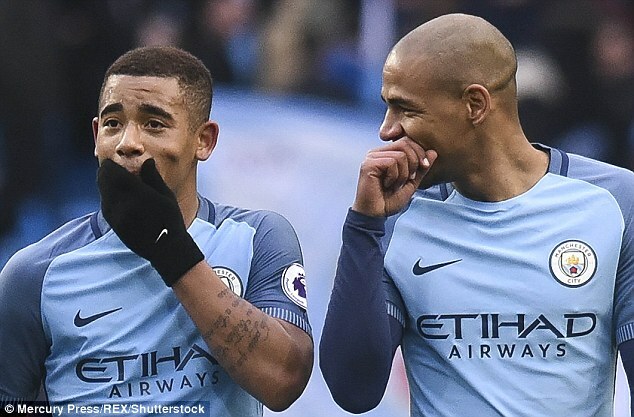 Fernandinho has revealed that he convinced Gabriel Jesus to turn down Barcelona and Real Madrid to join Manchester City. 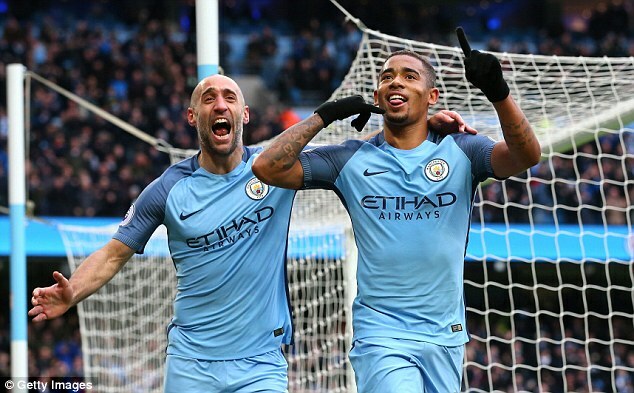 Jesus has made a stunning start to life in England since his £27million move from Palmeiras in January, scoring three times in his last two Premier League games, including a match-winning double against Swansea City at the weekend. He was understandably targeted by a number of Europe’s top sides, but his compatriot encouraged him move to the Etihad instead. And he admitted that the promise of regular game time – something Jesus has received under manager Pep Guardiola – was part of his tactic to sell the club to the 19-year-old. ‘I just asked him to choose City – to come here. I talked to him and was honest with him,’ Fernandinho said to the Sun. ‘But you have Pep here at City and he loves to have young players in the team – to give this opportunity for young players. ‘I said to him “you will have the opportunity to play here. Maybe not in the starting 11 all the time, but to come on regularly”. City are third in the Premier League after Jesus’s telling contribution against Swansea at the weekend. Guardiola’s side travel to the south coast to take on Bournemouth on Sunday afternoon.